i created these ringtones for myself and my wife. they're pretty cool. at the request of my cousin, i have also put up non-iPhone versions. if you think these ringtones are the bomb, donate a dollar to me. 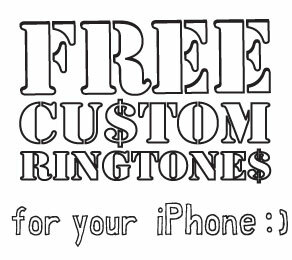 if you want me to make you a custom ringtone, send me an email at greg@greghaupt.com.